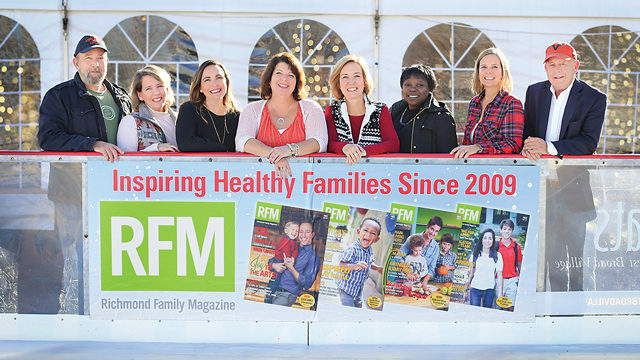 This month is overflowing with fun things to do to celebrate the season, and if the rest of this issue wasn’t so darned good, I’d tell you to flip straight to the RFM calendar on page 48 and start circling events to check out! It’s a little overwhelming, trying to decide which events to make time for and which to let pass you by, especially with all of the shopping, and wrapping, and baking to do before Christmas. This month’s Real Mom, Andrea Siebentritt, has some great tips on how to choose, starting on page 20 (and she also tells us what happens if you scale down too much!). I definitely plan to implement her idea of having the kids help stuff and stamp Christmas cards. I’ll need all of the little elves I can get to help me through the season! I was fascinated to read Catherine Brown’s history of gingerbread, starting on page 22. I had never given much thought to the origin of this holiday treat, and now that I know, I’ll never look at a gingerbread man the same again (spoiler alert – the folks in Washington, D.C. could stand to hand out a gingerbread man or two this season!). My kids love to put together and decorate gingerbread houses over the holidays (notice I didn’t say bake – those pre-fab houses in a box are just fine by me! ), complete with Necco Wafer-tiled rooftops and candy cane lampposts. I think the boys eat as much as they use on the houses, but hey, holidays are all about sweets and treats, right? And making memories with the family is important, too. We’re looking forward to our annual trip to Gaylord National Resort and Conference Center for ICE! (be sure to check out the pictures from our sneak preview on our Facebook page), as well as our traditional morning of watching the Dominion Energy Christmas Parade with friends from our usual spot along Broad Street. With any luck, we’ll get a Christmas cookie or two baked and get the house looking festive enough to host the neighborhood party closer to Christmas. Whether it’s a visit to The Jefferson Hotel to see their exquisite gingerbread creation of the year, a festive stroll through GardenFest of Lights at Lewis Ginter Botanical Garden, or just quiet time spent at home around the tree with family, enjoy all that the holiday season has to offer.